2) Development of the aircraft report which cover all technical fields stated in type certification including its records, logs, maintenance documents and operational documents. i. Identify whether any modifications or repairs have been embodied relative to CAA certified aircraft build standard. ii. The report should address the powerplant, APU, transmission and propellers in addition to the airframe, systems and equipment. iv. The aircraft inspection should confirm that the aircraft build standard conforms to its documented build standard. v. The report will be considered to be part of the inspection records and as such must not be destroyed unless authorised by the CAA. 3) The reports regarding the condition of an aircraft shall reflect the information detailed in para 4) below and include a declaration that a part from any exceptions stated; compliance with the approved standard has been established. 4) Guidelines for Aircraft Used Reports. This section shall include a reference to the CAA data sheet numbers i.e. Airframe, Engine and Propeller as applicable. The Airworthiness Approval Note (AAN) number under which the Aircraft Type was certified. The AAN number for the issue of a Certificate of Airworthiness, to which the imported aircraft is being compared. This section shall provide details on each modification including minor modifications. The modification information should include the CAA approval reference and identify those modifications that require CAA approval. Details of CAA approved modifications may be provided in an appendix to the report as necessary. This shall include details on major repair to the aircraft, which should include the following, as applicable. Repair requiring CAA approval should clearly identified. Details of approved repairs may be provided in an appendix to the report if necessary. This section shall include a list of any equipment that is not CAA approved along with their associated foreign approval references i.e TSO. This section shall specify the reference and revision status of the Aircraft Flight Manual (AFM). The temporary revision applicable supplement and change sheet (Design Organisation and CAA) must also be referenced. This section shall contain a summary list of deviations from the design certification requirements, if any. He list should specify the method of acceptance i.e. acceptance based upon equivalent safety findings approved by CAA. Where a temporary variation has been granted against a certification requirement, the period which the variation remain valid should be stated. All components with life limitations must be identified and cross referenced to the source document. The overhaul/service life remaining for each component or out of phase inspection, including Certified Maintenance Requirements (CMR) must also be established. Compliance must be established with the airworthiness limitations that are specified or referenced by the aircraft, engine or propeller type certificate data sheets. Airworthiness Limitations may include specific inspections and maximum retirement lives. a) The aircraft must be weighed and a weighed schedule raised. b) A list of applicable equipment must be provided including radio equipment as required, along with the respective CAA type approval reference. c) Separate log books, acceptable to CAA, must be provided for the aircraft, engines and VP propellers. d) Placards and Markings required by the ANO must be affixed and displayed in appropriate locations. a. This section shall incorporate a list of all applicable Airworthiness Directives promulgated by the State of Design and CAA Additional Airworthiness Directives, with respect to the aircraft, engines and equipment. b. Conformation and method of compliance shall be stated in each case. If an Airworthiness Directive has not been complied with, a justification for acceptance should be provided (i.e. short term compensating factors). Where an Airworthiness Directive has been complied with by using an alternative means of compliance, the approval of such methods must be referenced. c. Where appropriate, the periodicity for initial and repetitive inspections with respect to the applicable calendar/flight hours/cycle limits should also be stated. a. This section shall incorporate a statement against each applicable Airworthiness Notice (AN) describing how compliance with the notice has been achieved. b. If a previously CAA approved modification is embodied as the means of compliance with an Airworthiness Notice (AN), the modification title and number and CAA approval reference (SOC) shall be included in the statement. c. If compliance is achieved by embodying a modification that is not CAA approved, the modification should be referenced in the statement and addressed in section Modification relative to the CAA Certified Build Standard. This section shall include an inspection report to certify that particular aircraft conforms to a standard approved by the CAA for the issue of Certificate of Airworthiness for the aircraft type or differs in a defined manner from that approved standard. This section shall incorporate the series Flight Test schedule and reports reference. This section shall incorporate details of design organisations that are responsible for the continued airworthiness of any major modifications installed in the aircraft that are not the responsibility of the TC holder. 1) The ignition supplies a fast sequence of electrical sparks to ignite the fuel / air mixture in combustion chambers 4 and 7. 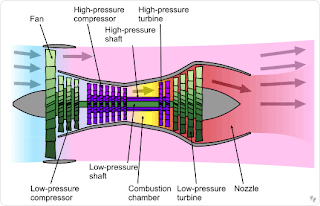 2) It is used when the engine is started (on the ground) or restarted in flight. It is also used as precautions to prevent flameout during take off, landing and bad weather. It's controlled via the flight deck when turned on electrical current flows from the aircraft supply to the exciter. 3) The exciter sends this high energy sparks via the high tension leads to the igniters. 4) Each electrical pulse cause the igniter to produce a strong spark at it's tip in the combustion chamber. 5) The exciter increases the voltage of the input electrically and builds a charge on a storage capacitor. 6) After the charge has built up sufficiently on the capacitor, a part of the charge is output to the igniter. 7) The igniter makes a trigger spark which lionises the air at it's tip. 8) Then the capacitor discharges fully, and the remaining charge sent to the igniter. 9) The heat that is transmitted from the very hot spark to the fuel / air mixture causes combustion. Note: The electrical output pulse from the exciter has two parts which occur in a very fast sequence. The first part causes the Trigger Spark and the second part cause the Hot Spark. 10) Seven combustion chambers that do not have igniters have there mixtures ignited by a flame that propagates through the cross over tubes between adjacent cans. 11) The are two types of system on the 727.
a) The standard 20-4 Joule system that has a single exciter box. It's supplied by 115V AC and 28 V DC. The 20-4 joule exciter can operate in the intermittent or continuous mode. In the intermittent mode, it fires both igniters. In the continuous mode it only fires the igniter in combustion chamber 7.
b) The Dual 20 joule system has two exciter boxes bolted together (Sometimes called a Twin Pack). Both are supplied by 115V AC. One fires the igniter in chamber 4 the other chamber 7. Two exciters can be operated individually or at the same time. Earlier models were for intermittent use only. Later models are continuous. Remember 10min on LH the 10min RH for the earlier systems.